If your business or organisation has any related press releases, or you have any worthy news items that you wish to be publicised here, just use our news submission form and tell us all about it. Please note that it is possible that the CACD web site will 'fall over' in the near future as the hosting company has been threatening to stop supporting the version of software that has been used to create the site. I will endeavour to keep it running as long as I can. I now run the Cornwall Arts and Crafts Directory (CACD) purley as a hobby, and do not charge anyone. So if you have recieved such an email please delete it. Lucy Reynolds' illustrated cards and prints are now stocked at Choughs in Lostwithiel. Based at 32 Fore Street in Lostwithiel, Choughs houses a mix of hand-crafted goods, including ceramics, artwork and up-cycled furniture. They're open 10.00 - 17.00 Monday to Saturday. 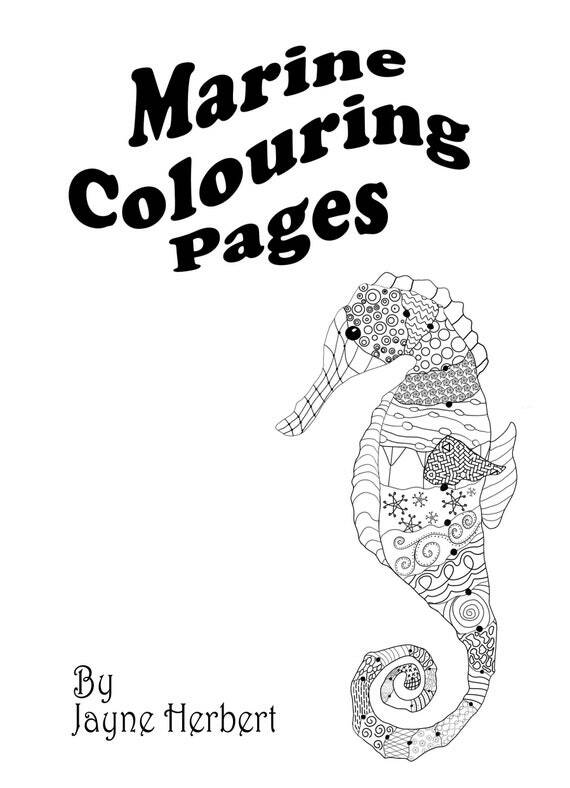 I'm just selling downloadable products there at the moment, including a marine printable colouring book, some 2019 greyhound calendars and planners plus a selection of pretty background papers for you to be creative with. Please do visit and let me know what you think. I'm also now selling the printed colouring books, acrylic pours and home printed note books at Treasure, a wonderful little craft and vintage shop in Penzance, along with a selction of home printed and original note books and some original acrylic pours. New book, 'Pen and Ink Drawing: A Simple Guide , by Alphonso Dunn, covers the essential aspects of pen and ink drawing and more. It explores basic materials and instruments; fundamental properties of strokes and pen control; key elements of shading; and indispensable techniques for creating vibrant textures. As a bonus, a chapter is devoted to what the author refers to as, the secret Line of Balance. This book is not just written to instruct but also to intrigue and inspire enthusiasts of pen and ink drawing. You can also see the authors YouTube video tutorials on his YouTube channel. A new scheme at Penlee House Gallery and Museum will extend free entry from Saturdays to throughout the week for local residents. The highly acclaimed gallery, which is owned and operated by Penzance Town Council, was nominated as the sixth best ‘hidden treasure’ in a national Sunday newspaper poll and has a world famous collection of paintings by the Newlyn School artists. The Penzance Pass scheme is aimed at residents of Penzance, Newlyn and Mousehole who already support the running of the gallery through payment of the local precept. Anyone living within this area can collect their free Penzance Pass card from Penlee House Gallery and Museum or the Town Clerk’s Offices on Alverton Street, providing they bring proof of their address with them. 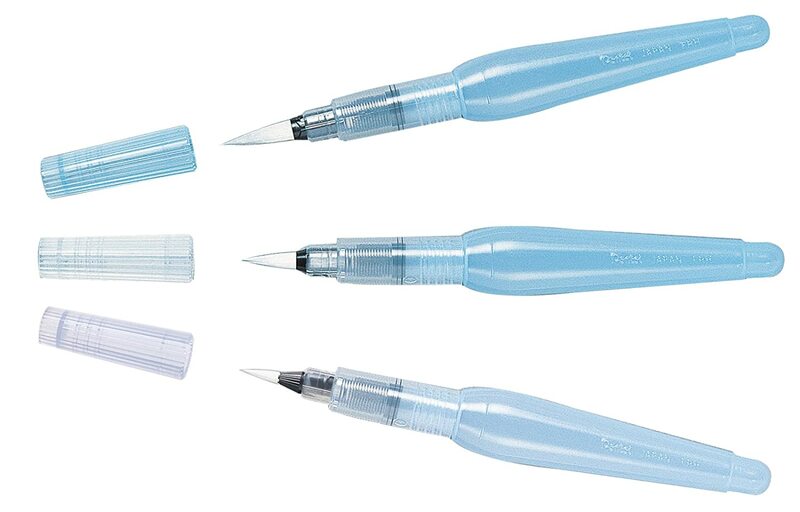 Pentel Aquash Water Brush Pens are versatile nylon-tipped brush pens from Pentel which allowsyou to fill the barrel with any water-soluble medium (water-soluble inks, watercolours or gouache) to use for lettering or painting. Alternatively, you can just use plain old water, and pick up watercolour or gouache colour from your palette to create great wash effects. You can control the density of colour by squeezing on the barrel of the Pentel brush pen to make the brush wetter or drier.It's also an ideal companion for the watercolour pencil artist. Using a water filled barrel you can create imaginative blends and washes with your watercolour pencils. They really are great fun. At Aspire Arts in Falmouth, we offer individual art and design portfolio and careers advice. We envisage that you will bring your portfolio to us for this session, or send an online folder of your work. * One to One portfolio discussion. * The most effective way to present a portfolio for an interview. * Advice on creating a digital portfolio. The importance of selecting and ordering work, to best show off your skills. * Sketchbooks, drawings books and journals. * Course work including preparatory studies. * Any other work that you have made in addition to coursework . * 3D work if transportable, otherwise photographs. * Photography / film work. * Garments, Costume, Samples. * Drawings / evidence of observation & reflection. * The questionnaire supplied by us.
. Follow up sessions available at £45.00 per hour. Contact by email on hello@aspirearts.co.uk or visit our web site www.aspirearts.education for more information. I have been running craft classes for a few years and now during the Easter holidays I am running two classes in jewellery making and two classes of two different types of crochet, all of which are for beginners. The venue is the Intergenerational Room, which is next door to the Red River Cafe at the Heartlands, Pool, near Redruth. These classes are for 3 hours at a time and refreshments can be obtained in the cafe. There is parking in the main Heartlands car park and as it is all on the level it is wheelchair and disabled friendly. Age is also no problem but obviously not suitable for small children. These classes are always light hearted and fun for those learning new skills and being at the Heartlands is the icing on the cake for me and I hope for you as well. The jewellery classes are on the 8th and the 15th of April and the two types of crochet are on the 10th and the 13th April - these classes are £15.00 per person per session. Refreshments and toilets are available at the Cafe. Please contact me to book onto a class or for more details - Jill on 07795 830062. A lovely new furniture restoration and upholstery teaching studio has opened in Falmouth. If you've got an old tatty chair that needs some love or a half finished upholstery project that you couldn't quite finish, then bring it along to our studio. We cover traditional and modern restoration, as well as wood restoration and french polishing. You will be taught all the skills you need to turn that old piece of furniture into something treasured and admired. We also take on commissions so if you're just looking for someone to help restore your old furniture, we can help with that too. Our little studio in the clouds is the perfect place to help kick start your creativity whilst calming the ever busy mind. All abilities are welcome so dont be shy if you've never done anything like this before, you'll be in safe hands with Polly. Polly has been teaching at The Good Life Centre in Borough in London for over 7 years now and she still continues to teach regular sold out weekend courses there. We will be holding regular 5 day and weekend courses where you can bring your own project and also weekend courses to make a traditional footstool, where all materials and the frame are provided (these will be added to our summer calendar very soon). Courses start from £140 and include refreshments, lunch and a scrummy afternoon tea. We will be adding more artisan craft courses in the near future so please join us on social media to keep in formed. PH Media at Roche, St Austell have recently installed Cornwall's first multilevel 3D scanner. This unique facility allows us scan oils, watercolours and textiles whilst picking up a relief of up to 8mm's. Final printed results using our large format printers give the tactile impression of the arts sense of texture, tone and colour. Kitty Clarke Crochet is running regular 'learn to crochet' workshops and courses this winter and spring 2019, in Truro and surrounding areas. Kitty Clarke has been teaching beginners how to crochet for over five years, through workshops, one-to-one lessons and crochet club gatherings. Check out our events calendar - more events coming soon for April and May 2019. The Department of International Trade, South West is curreuntly working with regional artists and creatives to ensure an international strategy and plan. This support includes workshops and 1:1 support from Intellectual property to Digital Advice and eCommerce advice. If you are looking to go onto a eMarketplace or selling on Etsy or other platforms and want to maximise international business then contact Dawn Musgrave for further information. Now available for painting demos and workshops for your local group. Come along and learn unique and playful ways with paint and texture that will enliven your practice. Also suitable for beginners and those who feel they can't paint or draw. By playing with mixed media and experimenting with paint and water we can return to a child-like, freer way of working. Letting the paint do the work for you and introducing an organic element into your art, perfect for landscape artists and abstract artists. Visit my Facebook page for more information and contact me to book me for your group or society.